Sizing a server is one of the first steps in building a virtualization infrastructure. The primary decision to make is between having many small servers, known as popcorn servers, or having fewer, larger servers. Popcorn servers are best for scale-out architectures because they enable the inexpensive addition of servers as needed. Popcorn server systems grow when more copies of the app stack are added to the initial setup. Popcorn servers won't work, however, if the task requires more memory than is available. Big servers present different options. They offer separation that can match the small instances popcorn servers provide. Use cases and their unique needs are the primary factors when sizing a server. In-memory databases, for instance, run better on larger servers because having fewer servers reduces latency. Running fewer servers also enables admins to reduce latency and bandwidth by reducing the amount of travel between the boxes. Cost is another consideration. To handle big instances, large servers require numerous, costly solid-state drives. Additionally, the custom nature of large server hardware drives prices higher. This cost per instance can favor smaller servers in certain contexts. Smaller servers also exist in a more competitive market, which forces vendors to push prices down. 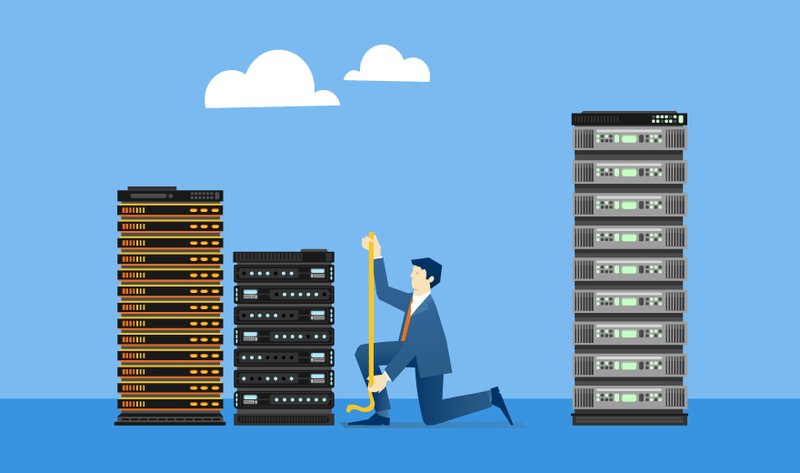 Which factors are most important for you when comparing server sizes?